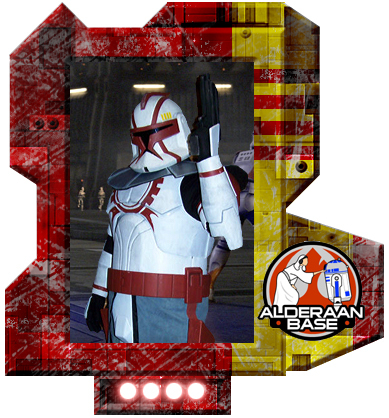 Commander Fil, a clone commander seen in the Clone Wars episode "Lair of Grievous". Sadly his only apperance on-screen, he dies during the episode, but with a name like his, a guy like me needs to bring him back. Costume is Watch City Armory CW-clone armor suit and v1 helmet, with leather mantle and kama skirt. Cod plate was not weathered at time of photos due to oversight, but since then has been weathered (proof-photo included).